It is pretty well complete except for the monitor. 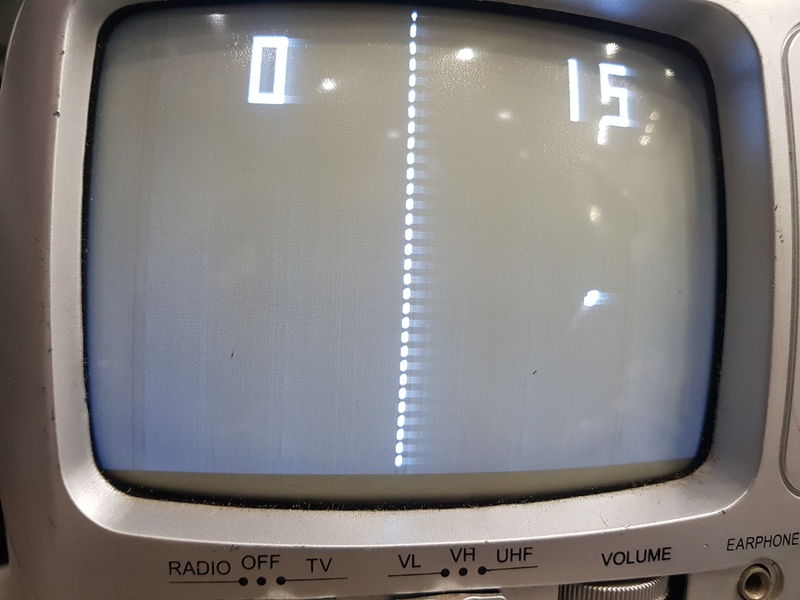 Fired her up with an little LCD TV and the program starts but there is some funky crap happening with a line travelling across the screen top to bottom. I assume it is the ball? I would like to possibly restore it back to what it was but reckon i need some help / advise . Is it worth the effort or am I flogging a dead horse? Would be quite rare and Aunger was once a very successful Australian company. Remember the car rear windows louvres the everyone had to have in the late eighties? 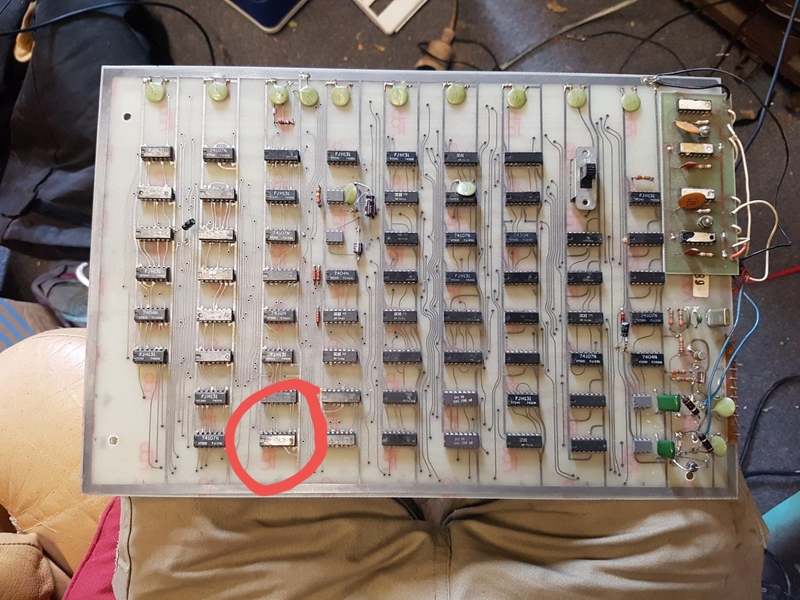 @aulantern sent me the board to repair, a relatively easy one to sort out. 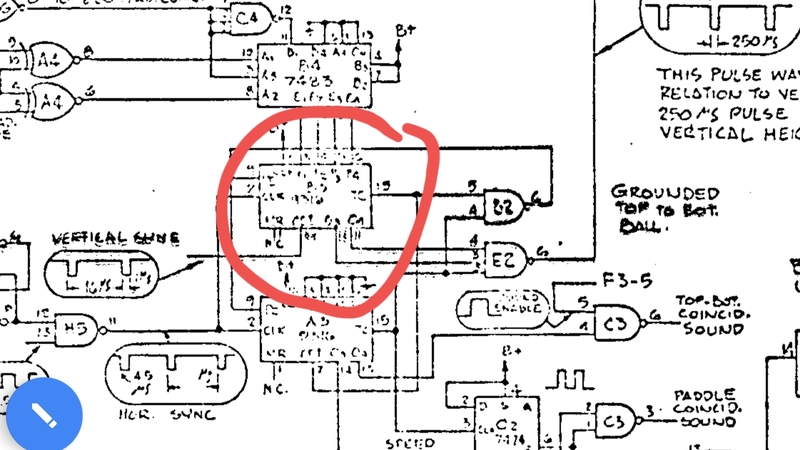 The issue was with the 74161 in the ball vertical counter circuit. The chip had no outputs and was completely dead. After replacing it the ball is now happily boumcing around the screen in attract mode.